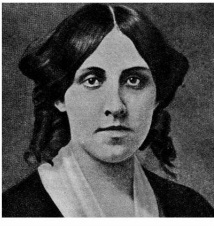 Louisa May Alcott was born on November 29, 1832, in Germantown, Pennsylvania. When she started writing, she only started using her own name when she was ready to commit to writing. Her novel "Little Women" gave Louisa financial independence and a lifetime writing career. She died in 1888. She was a best-selling novelist in the late 1800s. Louisa had been publishing poems, short stories, and thrillers tales since 1851, under the pen name Flora Fairfield. The great success of Little Women gave Louisa financial independence and created a demand for more books. Over the final years of her life, she turned out a steady stream of novels and short stories, mostly for young people and drawn directly from her family life. Her other books include Little Men, Eight Cousins and Jo's Boys. Alcott also tried her hand at adult novels, such as Work (1873) and A Modern Mephistopheles, but these tales were not as popular as her other writings. "Louisa May Alcott Biography." Bio.com. A&E Networks Television, n.d. Web. 04 June 2013. 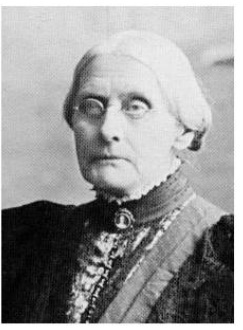 Susan B. Anthony was born on Feb. 18, 1820 in Adams, MA. In her early life she developed a since of justice. After teaching, she became active in temperance. But because she was a woman, she was not allowed to participate in the temperance gatherings. With this experience, and her companion ship with Elizabeth caddy Stanton, led her to join the women’s right movement. Soon after joining, she dedicated her life to woman suffrage. She traveled, and lectured across the country ignoring the opposition, and abuse, for votes. She also fought for the freedom of slaves, and the right for women to own their own property. In 1900, she accomplished a great achievement, she persuaded the University of Rochester to let women attend and study in the college. She remained active until her death on March 13, 1906. Clara Barton was born on December 25, 1821 at Oxford, Massachusetts. Her full name is Clarissa Harlowe Barton. She was a teacher. During the Civil War, she was an independent nurse. When she visited Europe, she worked for an organization called the International Red Cross. In 1881, the American Red Cross was founded by her and she was the first president of the American Red Cross. She used to be a shy child. The first person she helped was her brother after an accident. When she was a teenager, she knew wanted to be helpful. When she was 15, she became a teacher, and in New Jersey, she opened a free public school. In the mid-1850s, she was a clerk at the U.S. Patent Office, in Washington, D.C. She tried to help the soldiers as much as she could during the Civil War. At the beginning, for the Union Army, she distributed and collected supplies. 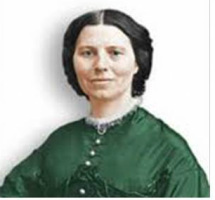 Clara Barton was nicknamed “the angel of the battlefield” because of her work for helping wounded soldiers. In 1865, when the war ended, she worked at the War Department to help missing soldiers to reunite with their families. After that, she became a lecturer and talked about her war experiences, and a lot of people came to listen. She left the Red Cross in 1904, but she still gave lectures and speeches. She wrote a book called “The Story of My Childhood” and her book was published in 1907. She died on April 12, 1912, at Glen Echo, Maryland. Bibliography: "Clara Barton Biography." Bio.com. A&E Networks Television, n.d. Web. 09 June 2013. 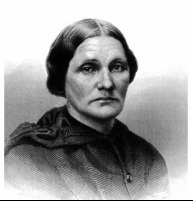 Mary Ann Bickerdyke was born on July 19, 1817, in Knox County, Ohio. Later on, she moved to Galesburg, Illinois. When the civil War broke out, at Fort Donelson, she joined a hospital. . She built more than 300 field hospitals. She was nicknamed “Mother Bickerdyke” because of her efforts. Later on, she became an advocate. Her maiden name was “Mary Ann Ball”. She died on November 8, 1901, at Bunker hill, Kansas. During the Civil War, for the Union Army, she was a hospital administrator. Sally Louisa Tompkins was born on November 9, 1833 at Poplar Grove in Mathews County, Virginia. She lived in Richmond, Virginia. She was an influential woman who didn’t have a small reputation. She convinced a judge to give away his house, and she made it into a private hospital. She had a different perspective of cleanliness then other hospitals. When she was on the battlefield, she used surgery tools and she didn’t wash them, even after using them on a patient. She encouraged cleanliness to be part of taking care of the wounded. Since her hospital saved people’s lives, it gained a reputation. From all the medical facilities in the south, more Confederate soldiers from her hospital returned to the battlefield. Her hospital existed for 45 months, and she had a lot of soldiers sent to her hospital. From all the patients, 73 of them died. In 1861, private hospitals weren’t able to get medical supplies from the government, but because of her hospital reputation, her hospital became supported by the army. The Confederacy President Jefferson Davis ranked her as a Captain. The hospital was run by “Captain Tompkins” and it was renamed to Robertson Hospital. She died at 83 years old on July 25, 1916, in a home for Confederate women. Mary Walker was born on November 26, 1832, in Oswego, New York. She was a famed physician, women's rights activist and Civil War veteran. She is best known for becoming the first woman to receive the Medal of Honor in 1865. She's also known for her work as an outspoken women's rights activist, looking to change the restrictive styles of women's fashions of her day, and for refusing to be held back by her gender. Mary walker gained an early educated at the Falley Seminary in Fulton, New York. She wanted to become a doctor which was a traditional male role, she enrolled at Syracuse Medical College, graduating with a Doctor of Medicine degree in 1855. She relocated to Columbus, Ohio, where she started a private practice. Returning to her home state not long after, Walker married fellow physician Albert Miller, and the couple moved upstate, to Rome, New York. 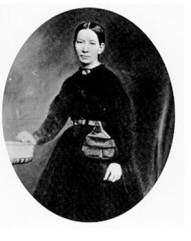 Soon after the Civil War began in 1861, Mary began volunteering as a nurse, working early on at the Patent Office Hospital in Washington, D.C. She stopped her volunteering her services in 1862 to earn a degree from the New York Hygeio-Therapeutic College in New York City, but soon returned to the war effort. This time, she worked on the battlefield, in tent hospitals in Warrenton and Fredericksburg, Virginia. In the fall of 1863, Walker traveled to Tennessee, where she was appointed assistant surgeon in the Army of the Cumberland by General George H. Thomas, one of the principal commanders in the Civil War's Western Theater. In April 1864, Mary Walker was captured and imprisoned by the Confederate Army. She was released that August, after being held in Richmond, Virginia, for several months. After her release, Walker briefly returned to Washington, D.C. 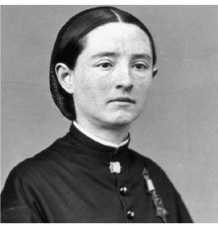 In the fall of 1864, she received a contract as an "acting assistant surgeon" with the Ohio 52nd Infantry, and soon began supervising a hospital for women prisoners and then an orphanage. She later retired from government service in June1865. Towards the end of 1865, she was recognized for her courageous war efforts and was awarded the Congressional Medal of Honor for Meritorious Service—becoming the first woman to receive this honor!! !